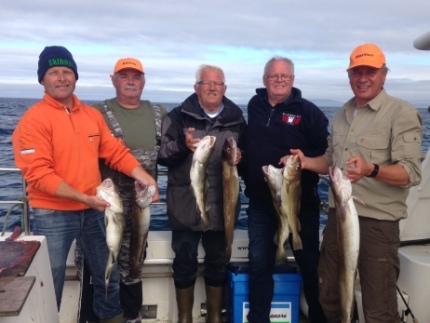 What makes a great sea fishing experience? Is it fishing on board a nice modern boat with a friendly skipper with good knowledge of the fishing grounds? Or maybe fishing out of a port, close to rich fishing grounds with access to an abundance of fish species. 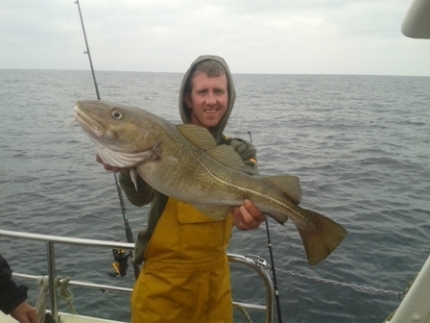 Or could it be the scenic drive through the hills of Donegal or the hospitality and Irish Breakfast that you received in the hotel before setting sail into the North Atlantic to try out your latest fishing tackle. Well here in Kincasslagh with Saoire Mara Charters, you will be coming to the right place where you will experience all of the above, leaving you longing to return to for more. 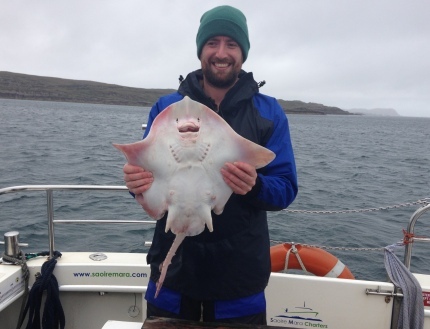 Ireland is a popular destination for Charter Boat Fishing and Deep Sea Angling in Donegal offers the angler the complete angling experience with various types of fishing ground and many fish species available close to (Cionn Caslach) Kincasslagh Harbour. 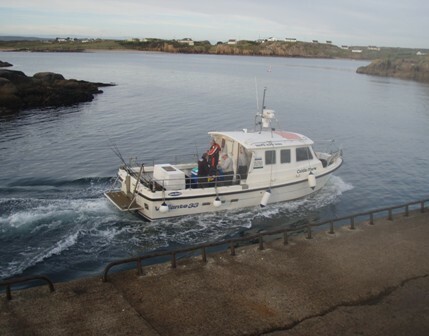 MV Caitlín Marie is a modern spacious charter boat with excellent facilities on board providing anglers with all your needs, including rod storage in the form of 8 gunwhale rod holders and a filleting table and Icey Tek cool box to allow for preparation and cold storage of the catch ensuring optimum quality. On board, skipper Paul McGonagle offers a friendly service and ensures that customers are well looked after, serving complimentary tea and coffee during your trip. 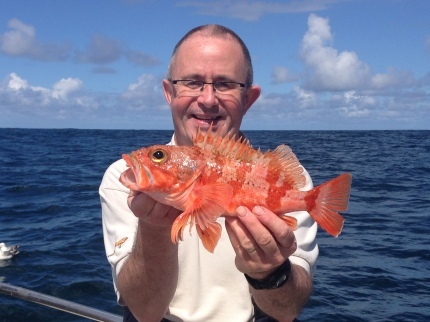 With over 10 years experience operating a charter boat, Paul has a good knowledge of the local fishing grounds. There are various options when fishing out of Kincasslagh. 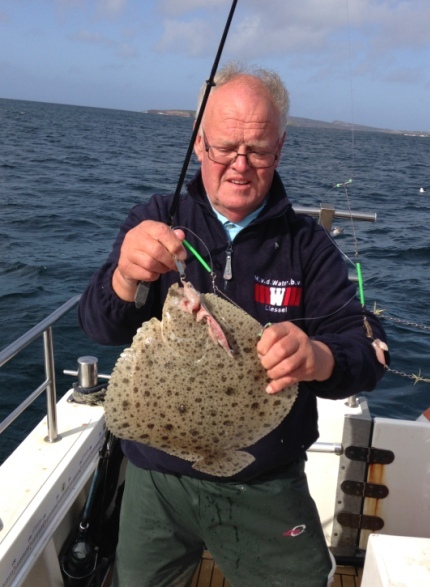 Choose from fishing the sandy bays for flatfish including Ray, Turbot, Dab & Plaice, deepwater peaks and troughs for Pollock, Coalie, Ling & Cod or gravel for Gurnards, Whiting & Haddock. Or why not have a competition among your group with a species hunt with a combination of all of the above. 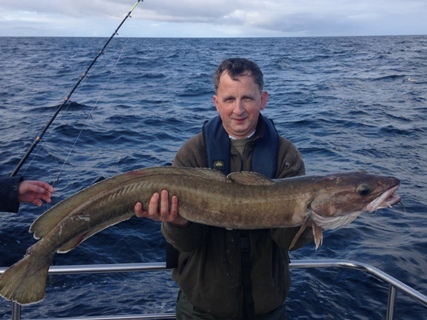 Pictured is a species known as the Bluemouth which is a rare catch in Irish waters and one that has yet to be achieved by many anglers. Well you could be lucky with Saoire Mara Charters as Paul can take you to the appropriate marks so you can add a Bluemouth to your catch list. When the weather doesn't allow offshore trips, fishing is still possible in the shelterred bays and in the lee of the islands of Owey, Gola, Inisfree and Arranmore. Good sport can be had spinning on the reefs for Pollock followed by an afternoon fishing on the sand.